Who Can Act as a Living Trust Trustee? 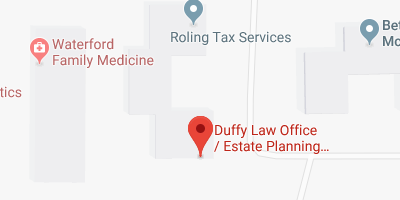 When you are engaged in the process of estate planning, you should make sure that you act in a measured and informed manner. If you make assumptions without knowing all of the facts, you may overlook ideal solutions. With this in mind, let’s look at revocable living trusts and the role of the trustee. You probably want to make sure that your loved ones receive their inheritances in a timely and efficient manner. If you use a last will to transfer your personally held property, there will be a significant time lag. The executor that you name in the last will would be forced to admit the will to probate. This is a legal process that takes place under the supervision of the probate court. The probate process can be quite time-consuming. The exact duration of the process will depend on the jurisdiction and the nature of the case in question. At best it is going to take perhaps nine months to a year, and at worst, an estate can be stalled in probate for multiple years. In addition to time consumption, there are other drawbacks. Probate is a public proceeding, and the goings-on become a matter of public record. Because of this, everyone in town can know exactly how you decided to distribute your resources. There are also a number of expenses that accumulate during the probate process, and these expenses reduce the value of the estate that is being passed along to the heirs. If you use a revocable living trust to transfer assets, you avoid all of these pitfalls. You convey assets into the trust, and you create a trust agreement. 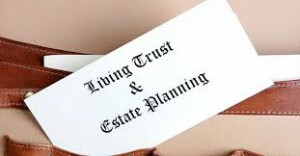 As the grantor of the trust you could act as the trustee and the beneficiary while you are living. You name a successor trustee in the trust agreement. This is the person or entity who will administer the trust after your passing. When you are choosing a successor trustee, you could use a person that you know. Technically, anyone can act as a trustee, as long as the trustee is an adult who is of sound mind. However, you may not know anyone who is qualified, and you may be concerned about the longevity of the trustee. You could choose to utilize a corporate trustee like the trust department of a bank or a trust company. If you go this route you can be sure that the trust is administered in a professional manner, and there would be no longevity problems. If you would like to obtain some additional information about living trusts, download our special report. The report is free, and you can obtain access to your copy through this page: Davenport IA Living Trusts.